A story’s point-of-view is crucial to the success of a story or novel. But POV is one of the most complicated and difficult of creative writing skills to master. 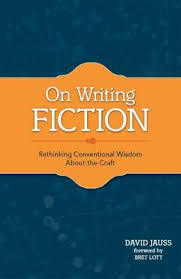 Part of the problem is that POV can refer to four different things, says David Jauss, professor at the University of Arkansas-Little Rock, in his book, On Writing Fiction: Rethinking Conventional Wisdom About Craft. This is part 1 of a 3-part series on Point of View: Techniques for Getting Inside a Character’s Head. Here are links to parts 2 and 3. The narrator’s person: 1st, 2nd, or 3rd. I love the idea that point of view is a technique: it is one of the tools in our writer’s tool box that we can pull out as needed to accomplish something in a story. I love the idea that point of view allows you to pull the reader closer to the characters or to shove them away from the character. Right away, Jauss has me. And it only gets better from here. More complicated, but better. Let’s discuss point-of-view, and use Ivan, the One and Only, by Katherine Applegate, winner of the 2012 Newbery Award as the mentor text for the discussion. Jauss points out that traditionally point-of-view is discussed in terms of person, and defined by the pronouns used. First person uses I, me, my, myself and so on; the story is told from inside the narrator’s head and the reader is privy to all the narrator’s thoughts and emotions. Third person uses he, she, they and so on; the story is told as if there was a camera above the narrator’s head and the reader knows only what the narrator sees. A close third person allows the narrator’s thoughts and emotions to be conveyed to the reader. Second person is seldom used and talks directly to the reader using you as the main pronoun. POV techniques include the omniscient POV, which dips into different character’s heads to give the reader a look at the thoughts and emotions of multiple characters; the camera can change from one reader’s head to another, as the story demands. Point of view, according to Jauss, should be classified by how far into the character’s heads the reader is allowed to go. He proposes a continuum from fully Outside POV, to a POV that is both Outside and Inside and finally a POV that is fully Inside. Outside, Outside & Inside and Inside. That’s the three new categories of POV. Jauss gives examples of these POV from what we would traditionally call first-person and third-person POV; I’ll be giving examples from the “first-person” book, Ivan, the One and Only. 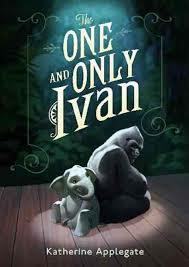 Ivan is undoubtably written in what most would call 1st person POV. The silverback gorilla, Ivan, is narrating the entire story. As such, it has a simple vocabulary and uses simple sentence structure to match the intelligence of an animal; but this animal has a big heart and that’s where technique allows the writer to manipulate how close the reader comes to the character. Jauss defines this as a story in which the narrator is telling a story from outside all the characters AND uses language unique to the narrator. Notice that for Jauss, the narrator is an important part of distinguishing the POV technique used. Dramatic storytelling is the the traditional show-don’t-tell kind of storytelling, where some insist that you must show everything and the reader should understand the action and emotions simply from what is shown. Even though the narrator is Ivan and he is including himself in the action, it is still dramatic action. Nothing in this statement gets inside of Ivan’s head; it’s purely dramatic. In fact, most of the “Bob” chapter is dramatic telling from Ivan’s point of view. He dips into his own feelings (indirect or direct interior dialogue—see discussion later) a few times, but it’s mostly dramatic. What a breath of fresh air! Some writing teacher emphasize this Show-Don’t-Tell to the extreme and yet Jauss says the results are “inevitably subtle.” Because I write for kids, I must question whether “subtle” is what I want! I’ve long thought that the Show-Don’t-Tell is more a plea for stronger sensory details than for implied emotion, and have modified it to say, Show-Then-Tell-Sometimes. What I mean is that the sensory details should put the reader into the situation; but after you’ve done that, sometimes you must interpret the actions for the reader. That uses sensory details; it shows, and doesn’t just tell. But we don’t know WHY Jill slaps Bob. Did she do it to wake him up after he passed out? That word, “desperate,” pulls the sentence out of a strictly dramatic telling and starts to drill down into Jill’s emotions. However, we need that word in order to understand the story. This technique isn’t used extensively throughout IVAN, but here’s one example. The small elephant, Ruby, is watching the older elephant Stella do her tricks with Snickers the circus dog. We aren’t TOLD that Ruby is scared of the dog; instead, “Ruby’s eyes go wide.” The reader must infer Ruby’s emotions from that bit of action. And here, it works well. We don’t need an extra adjective for interpretation. Applegate does an amazing job of walking this fine line and keeping the action strictly dramatic. Dramatic storytelling is like watching a play on stage, or watching a movie. We can never go deeper into a character’s point of view, because the camera can’t go inside a character. The closest we can come is the constant monologues that are a technique of reality TV, where a character talks to the camera and interprets a sequence of actions or explains their thoughts during a sequence. Even that doesn’t take you inside the character like the next techniques can. For the Outside/Inside techniques, join us tomorrow. This has been part 1 of a 3-part series on Point of View: Techniques for Getting Inside a Character’s Head. Fascinating and useful post. Thanks for this. I can’t wait for the following posts.